If all believers are really priests, why is it that some churches still don’t allow women to exercise the priestly role of teaching the Bible publicly? Martin Luther famously referred to a general priesthood in his 1520 tract To the Christian Nobility of the German Nation. 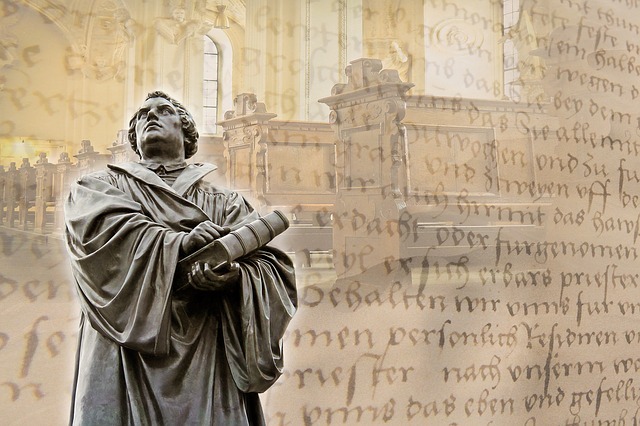 Luther did not actually coin the phrase “priesthood of all believers”, and the idea itself obviously did not originate with Luther but rather with the writers of the New Testament. Still, the fact remains that the doctrine we know by that name has been a significant feature of Protestantism for almost 500 years. This being the case, you’d figure any questions about the status of women in a universal priesthood must have been asked and answered hundreds of times. 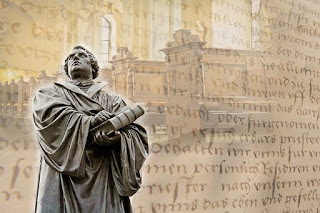 Now, if we are being technical, careful examination of the original Greek in both verses cited here by Luther shows they speak not of “priests” and “kings”, but rather of a “priesthood”, a “nation” and a “kingdom”. Most of our decent modern English translations accordingly reflect this: the terms used by the Holy Spirit are consistently collective rather than individual. Thus there is nothing in the New Testament that explicitly declares Christian men and women are individually priests or priestesses. Rather, they are part of a priesthood. It is undoubtedly this concept to which both Peter and John refer: a nation that corporately functions as a priesthood. Israel was God’s initial royal priesthood, and the Church has simply followed in her footsteps. As the first royal priesthood, Israel was remarkable in its day for its total dearth of priestesses. There were exactly … none. Only male Hebrews served as priests. And yet the nation is called by God a “kingdom of priests”, just as is the Church. In short, (i) there is nothing about the phrase “kingdom of priests” that necessitates having female priests, and (ii) there is no historical precedent for individual females serving as priests. Like the Church, Israel was a “kingdom of priests” in that every one of God’s people was to display his holy character to the world and to serve him in one way or another. And yet not all Israelites were required — nor were they allowed — to stand before God, serve in the sanctuary, keep guard over it and over the altar, offer sacrifices, or teach the people publicly from God’s word. Not all Israelites were privileged to eat of the offerings. These functions were restricted to the tribe of Levi, and some were restricted further still to the household of Aaron. The fact that an Israelite, male or female, might be said to be a “priest” in the larger sense of the word because they were a member of God’s holy nation tells us nothing whatsoever about which priestly functions they were allowed to perform in Israel. Therefore, when we come to the New Testament and find restrictions on certain kinds of priestly service by certain individuals in the churches — not just women — this should not surprise us. We have already seen that there is plenty of precedent for these limitations in Israel’s history. That doesn’t make those to whom these restrictions apply any less a part of the priesthood, or make them any less important in God’s eyes; it simply means that they serve him differently, at his pleasure. Saved polygamists, for instance, cannot serve as elders in the churches (a situation evidently common enough among first century Christians to rate mention from the apostle Paul). Such a rule might have limited a man’s sphere of service in the early church a little, but he was no less a member of the royal priesthood on account of it. Again, Paul reminds the Corinthians that not all believers are prophets, or teachers, or workers of miracles. Instead, each has different gifts and priestly responsibilities within the churches, as God has sovereignly appointed — and yet all are equally part of the New Testament priesthood. The fact that I am a citizen of a priestly kingdom and a holy nation tells me nothing about my personal priestly responsibilities to it and to God. For that, I must look to the specifics of New Testament teaching in the epistles.